LONG BEACH UNIFIED SCHOOL DISTRICT, Respondent. Elizabeth Feyzbakhsh, Administrative Law Judge, Office of Administrative Hearings, Special Education Division (OAH), heard this matter on June 4, 5, 6, 11 and 12, 2007, in Long Beach, California. Attorney Bruce Bothwell, appeared on behalf of petitioner (Student). Student’s mother and stepfather were present throughout the hearing. Attorney Debra Ferdman, appeared on behalf of Respondent, Long Beach Unified School District (District). Douglas Simbieda, representative from District, was present throughout most of the hearing. Angela Suttles, representative from District, was present in his absence. The Due Process Hearing Request in this matter was originally filed on October 5, 2006. An Amended Due Process Hearing Request was filed on November 3, 2006. The matter was set for hearing. A number of continuances were requested and granted and the hearing commenced on June 4, 2007. District requested written closing arguments which were submitted and the record was closed on June 25, 2007. On July 26, 2007, the parties stipulated that the decision in this case is due for issuance on or before July 30, 2007. (b) Failing to provide sufficient assistive technology (AT) or augmentive communication services (ACS)? 2. Did the District conduct an appropriate triennial assessment in 2005? (f) Failing to provide sufficient AT or ASC? (f) Failing to provide a sufficient amount of AT? 5. Did the District predetermine Student’s placement for the 2007-2008 school year, at the April 26, 2007 IEP meeting? (e) Failing to offer an appropriate amount of OT to meet Student’s unique needs, and failing to offer an occupational therapist appropriately qualified to address Student’s unique needs? 1 On the first day of hearing, Student withdrew four issues pertaining to the 2004-2005 school year. 2 Federal and state law require special education teachers to be “highly qualified” and set forth the educational and certification requirements of special education teachers. Neither a parent nor a student may sue based on the failure of any state or local educational agency employee to be highly qualified. The proper venue for such a complaint is with the SEA. Therefore, that issue is not proper within the parameters of a due process complaint. However, the issue of whether Student was denied FAPE because his teachers and service providers were unable to implement Student’s IEP or unable to provide an appropriate level of services due to lack of training or education is an issue properly before this tribunal and the qualifications of the teachers and service providers are addressed in that limited context. 3 Student raised many issues separately in his amended complaint. For clarity, these issues have been reframed. 4 In his written Closing Argument, Student withdrew his request for reimbursement for a speech and language evaluation conducted by Jane Haddad, M.A. CCC SLP. 5 This compensatory education is provided to compensate for violations during the years 2004-2005, 2005-2006, 2006-2007 and 2007-2008. If the ALJ finds that District failed to provide FAPE in the 2004-2005 and 2005-2006 school years, Student proposes that the ALJ order District to fund compensatory educational services from non-public agencies. If the ALJ finds that District failed to offer FAPE for the 2006-2007 school year, Student proposes that the ALJ order District to fund Student’s placement in Buena Vista, a non-public school where he can receive an educational program, including designated instructional services, designed to provide him with meaningful educational benefit. Student contends that District has continually failed to provide Student a FAPE. Student contends that the District has failed to properly assess Student and failed to develop an educational program that appropriately addresses Student’s complex unique needs due to the combination of ataxic cerebral palsy and autism. Student contends that he has been denied FAPE, and in fact has regressed in some areas during the past three years due to District’s failure to provide an appropriate placement and services. District contends that Student has been provided FAPE for each of the years at issue, that appropriate assessments were conducted and an appropriate program was developed for Student. District further claims that Student has received educational benefit from his program and has made educational gains each year. 1. Student is an eleven-year-old boy who resides with his parents within the geographical limits of the District. Student is currently eligible for special education services under the category of orthopedic impairment due to ataxic cerebral palsy and autistic-like behaviors. 2. Student’s mother began to have concerns about Student’s development when he was approximately two years old. When he was three years old, he entered the District. At that time he qualified for services due to orthopedic impairment and autistic-like behaviors. 3. In order to offer a student a substantive FAPE, a school district must develop a special education program for a student with a disability that meets a four part test: (1) the placement must be designed to meet the unique needs of the student, (2) the placement must be reasonably calculated to provide the student with some educational benefit, (3) the services provide must comport with the student’s IEP, and (4) the placement must be in the least restrictive environment (LRE). 4. Student’s contention regarding the 2004-2005 school year are limited only to the areas of OT and AT. Student contends that District failed to provide sufficient OT, and failed to implement the IEP in the area of AT/ACS during the 2004-2005 school year. 5. The parties did not dispute Student’s unique needs. Student has unique needs in the area of fine and gross motor skills. He has significant difficulty with handwriting. He has tremors in his hands and he cannot spontaneously use both hands at the same time. 6. Student has unique needs in the area of academic functioning. Specifically, he has needs in the areas of reading, language arts, and math. 7. Student has unique needs in the area of self-help. Due to fine motor deficits, he has difficulty with coordination and it is difficult for him to perform basic functions such as eating a snack or swallowing. 8. Student has unique needs in the area of communication and language development. His speech is slurred making verbal communication difficult for him. 9. Student has unique needs in the area of concentration. He needs constant prompting to stay on task and needs modification of the curriculum. 10. The District held an annual meeting on March 2, 2004, to discuss Student’s special education program for the 2004-2005 school year. Student’s IEP contained goals in the area of language arts, math, physical education, health and speech and language. 11. The District offered placement and services for Student. Student was offered placement in a special day class (SDC) at Tincher Elementary School for 80 percent of the day and in general education for 20 percent of the day, during the regular and the extended school year. The SDC was specifically designed for children with autism. The IEP provided Student a one-to-one aide trained in applied behavior analysis (ABA) for six hours each school day. 12. The District offered Student 60 minutes per week of one-to-one speech therapy and 30 minutes of group speech therapy per week. The District offered Student adapted physical education (APE) twice a week for 30 minutes each session. The District offered Student 45 minutes of clinic based OT, 30 minutes of one-to-one OT and consult per week. Student was also offered door-to-door transportation. The District offered assistive technology devices and services in the form of access to a computer utilizing the Pixwriter program. Student’s parents signed the IEP. 13. Student contends that 45 minutes of clinic based OT and 30 minutes of consult OT was insufficient to meet Student’s significant fine motor, self-help, and coordination needs. District contends that the OT provided was sufficient. 15. Student had difficulty using his two hands together to complete self care tasks such as fastening his pants. The IEP team drafted a goal that was designed to meet this need and reasonably calculated to provide educational benefit to the child. The goal required Student to be able to pull up and fasten his pants after using the restroom with verbal cues only, on four out of five attempts using adaptive strategies as needed. Student’s teacher and his occupational therapy practitioner were responsible for implementing this goal. 16. William Roberts was Student’s occupational therapist beginning in March 2004, and was present for Student’s IEP meeting. Roberts testified at the hearing. He testified that he worked on this goal with Student. Student’s IEP dated March 2005 indicates that Student did not meet but was progressing toward this goal. Student was able to pull up his pants with occasional assistance but did not wear pants with buttons. 17. At the time of the March 2004 IEP Student was unable to feed himself at school using a fork or spoon without excessive spillage and he needed excessive amounts of time to complete a meal. The team drafted a goal that required Student to feed himself a complete meal using a fork or spoon with an appropriate grasp and no more than two to three spills, given minimal verbal cueing and using adaptive strategies as needed. Student’s teacher and his occupational therapy practitioner were responsible for implementing this goal. The 2005 IEP indicates that this goal was met and that Student was able to feed himself using a spoon or fingers as appropriate. 18. The March 2004 IEP failed to address all of Student’s unique needs in the area of fine motor skills. In 2003, the District referred Student for an AT assessment due to concerns regarding Student’s ability to handwrite. The specialist noted that Student had difficulty gripping a writing utensil properly. Student’s difficulty with handwriting was documented in the IEP, documented in assessments, and established through testimony at the hearing. Handwriting should have been addressed by additional OT. Student was required to write by hand virtually every day and should have had individual services from the occupational therapist to address that unique need. 19. Student received educational benefit in the areas specifically addressed in the two OT goals. However, the OT provided was insufficient to address Student’s unique need in the area of handwriting. There are no grades, scores, or indications of achievement which evidence that Student made educational progress in the area of handwriting. No work samples at all from the 2004-2005 school year were provided. 21. Student contends that District failed to provide sufficient AT or ACS to afford Student the opportunity to access the curriculum. The issue was raised as a “failure to provide,” but the issue is more appropriately framed as a failure to implement the IEP in the area of AT. 22. Student further contends that District did not provide services from qualified staff who could provide Student with AT and ACS. No evidence was presented on the qualifications of staff regarding Student’s AT and ACS, therefore, Student failed to establish this contention. 23. One of the factors in determining whether a school district provided a FAPE to a student is whether the services provided to the student conformed to his or her IEP as it was written. A failure to implement any provision of the IEP may amount to a FAPE violation only where the failure has been determined to be material; a material failure to implement an IEP occurs when the services provided to the student fall significantly short of the services required by his or her IEP. Measuring educational progress, or lack thereof, can play an important part in determining materiality. 24. At the time of Student’s IEP for the 2004-2005 school year, Student was able to communicate most effectively by computer, with the help of a Pixwriter program. The March 2004 IEP required that Student be provided the Pixwriter assistive technology device. 25. Student’s teacher during the 2004-2005 school year was Terri Mace. Ms. Mace testified that Student loved to learn and would become frustrated with his inability to write by hand. He struggled with anything having to do with writing. She testified that Student communicated via computer and that he was one hundred percent reliant on the Pixwriter program. Student needed the computer to address all content areas of his education. 26. During the March 2004 IEP team meeting, the IEP team determined that Student needed AT in order to communicate and in order to access the curriculum. During the 2004-2005 school year, Student had limited access to the Pixwriter program due to technical difficulties. The uncontroverted testimony was that the computer in Student’s classroom was unusable for approximately two weeks out of each month, sometimes more. Additionally, there was no working printer in the classroom, so Student was unable to produce any documentation of his work for most of the year. 27. At the IEP team meeting for the 2005-2006 school year, Student’s AT was discussed and the team members agreed that use of the computer is Student’s most successful means of communication. Student’s communication and ability to access the curriculum was hindered by the lack of the computer. Student was unable to write by hand, had no writing goal, struggled to communicate verbally and was unable to use the computer leaving him isolated and unable to access the curriculum. 28. The District failed to provide the AT services required by his IEP. The IEP indicated that Student required an AT device. Failing to have a computer available to Student for up to half of the month, each month of the year, falls significantly short of the services required by his IEP and is a material failure to implement his IEP. Student was unable to access the curriculum at school during the time the computer was not working appropriately. This material failure amounts to a denial of FAPE. 29. Student is entitled to compensatory education for this denial of FAPE. The District shall provide Student full access to a computer beginning on the first day of classes in the 2007-2008 school year. The computer shall be equipped with both the Pixwriter and Intellitools software and shall be available to Student for the entire school day in order to allow him full participation in class. 30. Student contends that District failed to appropriately assess him. Student contends that the psychoeducational evaluation conducted by District was not appropriate because it included only one standardized cognitive/intelligence instrument. Student contends that the instrument was not administered appropriately in that the preschool portion was utilized prior to attempting a more age appropriate portion of the assessment. In addition, Student contends that the school psychologist did not conduct a sufficient school observation or parent interview, failed to take into account the extent to which Student’s CP affects his performance, and failed to observe Student in his home setting. Student contends that reimbursement for the costs of obtaining an independent educational evaluation (IEE) by Dr. Melanie Lenington is appropriate based on the District’s failure. 31. A school district is required to conduct a reevaluation of each child at least once every three years, unless the parent and the local educational agency agree that a reevaluation is unnecessary. A school district is required to assess a child in all areas of suspected disability. As part of any reassessment, the IEP team is required to review existing assessment data and, on the basis of that data, identify what additional data, if any, is necessary to determine whether the pupil continues to have a disability, the pupil’s present levels of performance and educational needs, whether the pupil continues to need special education and related services, and whether any additions or modifications to the educational program are needed to enable the pupil to meet his annual IEP goals. 32. When a parent disagrees with an assessment obtained by the public educational agency, the parent has the right to an independent educational evaluation (IEE) from qualified specialists at public expense unless the educational agency is able to demonstrate at a due process hearing that its assessment was appropriate. 33. Student’s triennial review included a review of existing data, a psychoeducational assessment, a speech and language assessment, an OT assessment, and a PT observation. The only portion of the triennial evaluation at issue in this action is the psychoeducational evaluation. 34. The psychoeducational evaluation was conducted by Melissa Birnbaum, a school psychologist employed by District, on January 14 and February 10, 2005. Ms. Birnbaum evaluated Student’s cognitive functioning, speech and language, and Student’s pre-academic/academic functioning and self-help skills. 35. Ms. Birnbaum assessed Student’s cognitive functioning using subtests from the Differential Abilities Scale (DAS). Ms. Birnbaum indicated that standard scores could not be obtained on all subtests because Student was outside of the age range of the normative samples. 36. At the time the assessment was administered Student was eight years, 10 months old. Based on Student’s functional levels, Ms. Birnbaum administered the pre-school test. Student’s age equivalencies on tasks ranged from three years, one month, to six years, seven months. The results of the psychoeducational evaluation indicated that Student possessed variable skills ranging from the low average to significantly below average range. 37. Ms. Birnbaum administered the nonverbal subtests of the DAS. The scores are reported as age equivalents. On the Picture Similarities subtest, non-verbal reasoning Student achieved an age equivalent score of six years, seven months. Student was given the Pattern Construction subtest which requires recreating designs using blocks. Due to Student’s cerebral palsy, Ms. Birnbaum administered and scored the subtest using the alternative standards which are untimed. Student’s age equivalent score on this subtest was four years, four months, which is within the first percentile for his age. 38. Ms. Birnbaum administered the verbal subtest from the DAS. Student’s age equivalent score on this subtest was three years, one month. Student scored an age equivalent score of six years, four months on the Naming Vocabulary subtest. 39. On the Early Number Concepts subtest, Student achieved an age equivalent score of four years, four months. Student had some difficulty counting 10 objects with one-to-one correspondence. He was able to pair numbers with their numeral presentation and was able to respond correctly to some items involving size concepts. 40. Ms. Birnbaum administered the Brigance Inventory of Development to the teacher to evaluate Student’s academic functioning. Birnbaum notes that Student is able to read more than 100 sight words. He is able to print his first name and trace his last name. In the area of math he is able to add to 16 and count and recognize numbers up to 20. In the area of self-help Student is toilet trained and feeds himself. He needs help fastening his pants and wiping his face. His average sentence is up to five words. In the area of gross and fine motor skills, Student is unsteady on is feet and his gross motor coordination is very poor. 41. Student’s social, adaptive, and behavioral functioning was rated by Student’s teacher. She indicated that Student is happy and that he needs constant reminders to stay on task and one-to-one assistance to complete assignments. 42. Student’s mother completed the scales of independent behavior, which was used as a measure of adaptive behavior outside of the school setting. Student’s behavior outside of school was in the significantly below average range. 43. Based on her psychoeducational assessment, Ms. Birnbaum recommended placement for Student in a special education day class with a low student to adult ratio. 44. Melanie J. Lenington, Ph.D., is a licensed clinical psychologist who testified as an expert on behalf of Student. She has been a licensed clinical psychologist since 1994 and is in private practice in Los Angeles, California. She is a licensed clinical psychologist in the state of California. She received her Ph.D. from the California School of Professional Psychology, and her undergraduate degree from Ohio State University. 45. Dr. Lenington disputed the validity of Ms. Birnbaum’s assessment on several grounds. First, Dr. Lenington testified that Ms. Birnbaum deviated from the standard administration of the DAS by administering the preschool portion of the test to Student who was eight years old at the time. Dr. Lenington opined that a test commensurate with Student’s chronological age should have been attempted prior to administering the preschool subtest. 46. Karen Evans is a school psychologist who works for District. She testified as an expert on behalf of District in this matter. Ms. Evans has a master’s degree in clinical psychology, treatment and evaluation. She has a background in assessing students with autism and assessing students with neurological impairments. Ms. Evans testified that based on the review of records and the knowledge already known by the District, Ms. Birnbaum did not err in her assessment by administering the pre-school subtests. 47. Second, Dr. Lenington criticized Ms. Birnbaum’s assessment because only one instrument was administered to determine Student’s IQ. According to Dr. Lenington, utilizing the pre-school subtests, without administering more than one test, indicates an improper predetermination that Student could not function above the pre-school level. 48. Ms. Evans testified that it was not inappropriate to administer only one test of cognitive functioning. She testified that it was not unusual to use more than one test but that the function of administering more than one would be to confirm data. Ms. Evans testified that Ms. Birnbaum’s report was appropriate. She further testified that it was appropriate for Ms. Birnbaum to utilize the pre-school subtests. 49. Third, Dr. Lenington criticized Ms. Birnbaum’s use of the DAS because Student was unable to complete certain portions of the test due to his CP. For example, Student had great difficulty stacking the blocks in the Pattern Construction portion of the non-verbal subtest. Dr. Lenington testified that it was inappropriate to base Student’s IQ on tests that he cannot complete due to his CP. 50. Ms. Evans testified that Student was tested using the alternative standards which are untimed. Birnbaum took into account Student’s CP and administered the test appropriately for Student’s condition. 51. Ms. Evans testimony regarding the District’s psychoeducational assessment was credible. Dr. Lenington’s opinion is given less weight because she failed to observe Student in the educational setting and offered opinions regarding the appropriateness of the educational placement. Student failed to establish that the psychoeducational assessment conducted by the District was inappropriate. 52. Student contends that the District failed to provide Student a FAPE during the 2005-2006 school year, by failing to provide an appropriate placement. Student further claims that District failed to implement an appropriate BIP, failed to provide a one-to-one aide, failed to provide sufficient and adequate speech and language services, failed to provide sufficient and adequate OT services, and failed to provide sufficient AT or ACS. District contends that Student was provided FAPE during the 2004-2005 school year. 53. The IEP team met on March 16, 2005, for an annual meeting, to determine Student’s placement and services for the 2005-2006 school year. Student’s unique needs, as set forth in paragraphs three through seven, did not change and are applicable to the 2005-2006 school year. 54. The District offered Student placement in the intermediate autism special day class located at Tincher Elementary School. Student’s IEP provided for speech and language services three times per week, which consisted of 30 minutes of individual therapy and two group therapy sessions for 30 minutes each. The IEP provided for 60 minutes of OT per week, 30 minutes of individual therapy and 30 minutes of group therapy. Student’s IEP provided for adapted physical education (APE) twice a week for 30 minutes in a group setting. Student’s IEP provided for AT training for two weeks in the classroom, one time per week for 30 minutes each time. Student’s IEP provided for classroom aide support for six hours per day when school is in session. Student’s IEP provided for extended school year services. Student’s IEP provided for picture writing software to fulfill his AT requirements. Student’s mother consented to this IEP. 55. Student contends that Student was not provided with a program that was appropriate for a student with both autism and CP. 56. At the March 16, 2005 IEP meeting, District offered Student placement in the intermediate autism special day class located at Tincher Elementary School. Student was to participate in general education during physical education, lunch, recess, passing periods, and during special school day activities. 57. The day following the IEP team meeting, Ms. Mace was informed that the intermediate autism class would not be offered at Tincher Elementary School during the upcoming school year. It would instead be offered at Holmes Elementary School. Student’s mother was informed of the change in location that same day. Nothing about the program changed except for the location. 58. The class was comprised of eight or nine students all diagnosed with autism. Student was academically and socially suited for this classroom. In the classroom were one teacher, Mr. Day, and three aides, one of which was assigned because Student was in the class. Mr. Day did not assign a one-to-one aide specifically to Student. 59. School started at eight o’clock in the morning. The Students first attended Physical Education (PE). The students worked on their calendar from approximately 8:30 a.m. to 9:20 a.m. The first recess began at 9:20 a.m. and ended at 9:40 a.m. For the next hour approximately, the students participated in academic rotations. There were four different stations. Thereafter, the students ate lunch. After lunch the class had a group reading time. The afternoon activities varied. For example, the students might have an art project or social studies. 60. Student received individual instruction for approximately one-half of the day and small group instruction for one half of the day. Mr. Day has worked for the District since 1992 and has taught a severely handicapped class and an autism class prior to the 2005-2006 school year. 61. This placement was designed to meet Student’s unique needs. The class size was small and the daily schedule provided for individual attention. It was reasonably calculated to provide educational benefit. The other students in the class were similar to Student in their academic and social abilities. The placement comported with the IEP which provided that Student be in an autism SDC. Student produced no evidence regarding how the placement failed to address Student’s CP related needs. Student did not produce sufficient evidence to sustain the contention that Student’s placement was inappropriate during the 2005-2006 school year. 62. Student contends that the District failed to develop and implement an appropriate BIP to address Student’s maladaptive behaviors. District contends that any behavior problems exhibited by Student were appropriately addressed by the District and no behavior exhibited by Student warranted a BIP. 63. When a child’s behavior impedes the child’s learning or that of others, the IEP team must consider strategies, including positive behavioral interventions, and supports to address that behavior. It must conduct a functional behavior assessment and implement a behavior intervention plan, or review and modify the behavior intervention plan if one is already in place. 64. Student presented scant evidence of any maladaptive behaviors exhibited by Student. Ms. Mace, Student’s teacher in the 2004-2005 school year, indicated that Student is very social and very well liked. In the March 16, 2005 IEP, Student’s present levels of educational performance in the area of behavior indicate that Student was happy and seemed to enjoy school. It further indicated that he sometimes touches others but that this behavior was less frequent in the past year. 65. There was insufficient evidence to indicate that Student needed a BIP. There were no disciplinary problems and no significant behavior difficulties with Student. No evidence was presented to indicate that Student’s behavior impeded his learning or the learning of others. 66. Student contends that Student needed, and the IEP required, a full time, one-to-one aide trained in autism assigned to Student. Student contends that District provided a part time aide who was not sufficiently trained or experienced in addressing Student’s disabilities. District contends that the IEP did not require the District to provide Student a full time one-to-one aide assigned specifically to Student, but rather a classroom aide who would assist Student as needed. 67. To analyze this issue, it must first be determined whether Student’s IEP provided for a classroom aide available to assist Student when he needed assistance or a one-to-one aide assigned specifically to assist Student for the entire school day. Once it is determined what type of aide was contemplated in the IEP, then the analysis turns to whether or not the services provided by the District comported with the IEP. As previously stated, a district’s failure to implement any provision of the IEP amounts to a FAPE violation when the services provided to the student fall significantly short of the services required by his or her IEP. 68. Student’s program and services as set forth in the IEP include “classroom aide support daily, for six hours, when school is in session.” The IEP further provided that a one-to-one aide would provide access to the curriculum. Student understood this to mean that Student had a one-to-one aide, assigned specifically to him, for the entire school day. Ms. Mace, who was also present at the March 16, 2005 IEP team meeting, understood this to mean that Student would have a one-to-one aide, for six hours a day, assigned to him. The IEP also provided that during the time Student is transitioning to general education for a portion of the day. 69. During the 2004-2005 school year, Student had a full time one-to-one aide trained in ABA, assigned specifically to him. In the March 16, 2005 IEP, Student’s present levels of performance written by Ms. Mace, stated that “an aide must monitor, shadow, and support, not ‘do for’ [Student] or he will shut down and regress.” In the area of behavior and social emotional development, the IEP indicated that Student needed constant reminders to stay on task and one-to-one assistance to complete assignments due to his cerebral palsy. 70. The meeting notes indicated that the team agreed upon the provision of a six hour classroom support aide. The team agreed that it was no longer necessary for Student’s aide to be trained in applied behavioral analysis (ABA) and discrete trial training, but that Student still required classroom support. The meeting notes did not indicate that the status of the aide would change from the previous year except that ABA was no longer required. 71. At the beginning of the 2005-2006 school year, Student’s teacher, Mr. Day, who was not present at the IEP, informed Student’s mother that the aides were “classroom aides” and that no single aide was assigned to Student. Since that time District has given Student’s mother conflicting information regarding whether Student has a one-to-one aide. 72. Student’s mother understood that Student would have a one-to-one aide assigned specifically to him for the duration of the school day. 73. Ms. Mace credibly and convincingly testified that Student needed not only a full time aide but one who was trained in autism because he needed individual instruction to learn new skills and because he needed someone to modify his curriculum and keep him on task. 74. Sue Campbell is a special education teacher within the District. She has worked for the District for 18 years. Currently, she is on special assignment within the District as a Special Education team leader and has held this position for six years. She acts as a liaison between the classroom and the special education department. She addresses concerns of teachers and parents, and attends many IEP meetings. It is her job to make sure that the teacher has all the information regarding students available in the classroom. 75. Ms. Campbell testified twice during this hearing. During her first appearance, she credibly testified that Student had a one-to-one aide while he was at Holmes Elementary School. She was “absolutely certain” that Student had a one-to-one aide, specifically assigned to him. Campbell was shown the IEP for the 2005-2006 school year and she stated that her understanding of the language in the IEP meant that Student had a one-to-one aide assigned to him. It was her understanding that Student has always had a one-to-one aide assigned to him from the District. Campbell’s testimony was interrupted due to witness scheduling issues, and she returned at a later date to complete her testimony. 76. When Ms. Campbell returned to testify, her testimony regarding Student’s one-to-one aide changed. She testified that a classroom aide was assigned to the classroom based upon Student’s IEP. She testified that an aide was assigned to the classroom and that the teacher has the discretion to use the aide when Student needs the support. She testified that it is her understanding that Student needed an aide one hundred percent of the time and that an aide would be available for one hundred percent of the time. She testified that she was confused in her previous testimony. 77. The March 2005 IEP required a full time one-to-one aide assigned specifically to Student. The testimony of Student’s mother, Ms. Mace, and Ms. Campbell on her first appearance, established that the team members in attendance at the March 16, 2005 IEP team meeting intended that Student have a full time one-to-one aide assigned specifically to him and no one else. 78. Mr. Day did not assign the aides to any particular Student. An additional aide was assigned to the classroom because Student was in the class, but the aide assisted other students as well. Mr. Day was not aware that Student was assigned a full time one-to-one aide. 79. The District failed to provide Student a full time one-to-one aide for Student in the 2005-2006 school year as required by Student’s IEP. 80. This failure to implement the IEP or failure of the services to comport with the IEP was material and amounted to a denial of FAPE. The importance of Student’s one-to-one aide was evident throughout the testimony. Student needed the curriculum adapted or modified for him and he required constant prompting in order to stay on task and complete assignments. 81. Student has requested no specific remedy for this failure other than funding a private placement. Funding a private placement based on this failure to implement the IEP is not warranted. No evidence was presented that Student was without a one-to-one aide at any specific time. Additionally, as will be discussed in paragraph 129, insufficient evidence was presented to establish that the private school requested, Buena Vista, is appropriate for Student. Finally, because for 2007-2008, a full time one-to-one aide has been offered to Student, no other remedy is appropriate or necessary. 82. Student contends that the March 2005 IEP was not designed to meet Student’s unique needs because there was an insufficient amount of speech and language therapy in the IEP. Student contends that the program was not designed to provide educational benefit because Student has had similar goals throughout the years and any progress on those goals must be considered de minimus in light of the fact that the goals are not new. Student further contends that the speech and language therapy did not comport with the IEP because the therapist was not sufficiently trained in addressing communication deficits secondary to ataxic cerebral palsy and autism to provide appropriate services. 83. Student’s present levels of performance in the area of communication and language development as documented in Student’s March 16, 2005 IEP indicated that Student used words to communicate wants and needs. His receptive language skills fall within the five year, three month level and his phonological skills fall within the three year, three month level with single words with severely decreased intelligibility at the sentence level. Pragmatic skills are commensurate with his language skills. 84. Student’s March 16, 2005 IEP contained five language arts goals. One goal required Student to compare and contrast objects using five-word sentences during structured activities. One goal required Student to follow directions containing four critical elements in four out of five opportunities. One goal required Student to correctly produce the letter “l.” The next goal required Student to sequence and retell a five-part picture sequence using appropriate syntax in eight out of 10 trials with minimum cues. The final goal required Student to initiate and maintain a conversation with a peer and make two comments or exchanges in four out of five opportunities during structured activities. 85. Student’s IEP provided for speech and language services five times per week. Student’s IEP provided for three one-to-one sessions for 30 minutes and two group sessions for 30 minutes each. 86. Student presented no evidence regarding the qualifications of the speech and language pathologist and, therefore, Student did not present sufficient evidence to show that she was not qualified to provide services to Student. 87. Student had five speech and language goals in his 2005-2006 IEP. He met three of the five goals. Although Student contends that the goals were merely extensions of previous goals, only one of the goals was a goal that had previously been addressed. That goal was a conversation goal with peers, an area typically very difficult for persons with autism. 88. Student did not establish that he was denied a FAPE based on his speech and language services in the 2005-2006 school year. The March 2005 IEP was designed to meet the unique needs of the Student in the area of speech and language and the services provided in this area were reasonably calculated to provide educational benefit to Student. 89. Student contends that District failed to provide a sufficient amount of individual occupational therapy to address Student’s severe motor and coordination deficits. In addition, Student contends that the occupational therapist was not sufficiently trained to address the deficits secondary to Student’s disabilities. District contends that Student was provided an appropriate amount of OT by a trained occupational therapist. 90. At the March 16, 2005 IEP, the IEP team reviewed an OT report that was conducted by William Roberts in February 2005. Mr. Roberts reported that Student’s impaired motor skills and decreased bilateral coordination due to cerebral palsy limit his full and independent participation in functional tasks in his school environment. 91. Mr. Roberts indicated that, due to difficulties producing fine, controlled movement, writing remains difficult for Student even after attempting to build up the pencils for easier grip, but that Student is able to manipulate the mouse and keyboard of a computer. Student needs physical assistance to participate in most school settings including the classroom, recess, transportation, toileting, moving in his environment and at snack and meal time. Mr. Roberts further reported that decreased muscle tone and decreased stability impact Student’s fine and gross motor skills. Mr. Roberts also noted difficulty with school related self-help skills. 92. The IEP provided for 60 minutes of OT per week, 30 minutes of individual therapy and 30 minutes of group therapy. Student had one goal involving occupational therapy in his March 2005 IEP. The goal required Student to demonstrate improved bilateral coordination in order to independently manage school materials such as lunch packages, clothing, and his backpack in four of five opportunities. Student met this goal. 93. Student’s OT was reduced by 15 minutes per week from the previous year. Student should have received additional OT to address his difficulty with writing. 94. Carrie Colantino is an occupational therapist with the District. She has been working with the District for three years. Ms. Colantino has a bachelor’s degree and master’s degree in occupational therapy. She is nationally certified and certified in the state of California. She has worked with approximately 12 children with cerebral palsy. She has experience working with children with autism as well. She testified that she provides services based on students needs, not their disabilities. 95. Ms. Colantino has provided services to Student since 2005. During the 2005-2006 school year, Student received one 30 minute individual session and one 30 minute session of group OT per week. In the group setting, Student was one of five or six children in the group. The group would work on both fine and gross motor skills. Ms. Colantino testified that Student’s weaknesses were in small fasteners, turning his clothing the correct way if it was inside out, and his disorganization in a classroom setting. 96. Student established that his 2005-2006 IEP was not designed to meet his unique needs because there were no services provided which focused on writing and reducing Student’s OT time was not supportable. Student presented no evidence that the OT providing services to Student was not qualified to provide Student’s OT services or implement Student’s IEP. 97. Student is entitled to compensatory education based on this denial of FAPE. Student is entitled to one hour of OT per week, to be provided by an NPA outside of the regular school day for a period of one year in order to specifically target Student’s fine motor skills. 98. Student claims that Student’s IEP was not designed to meet Student’s unique needs and it was not designed to provide educational benefit to Student in that District failed to provide an appropriate amount of AT in the 2005-2006 school year. District claims that Student was provided an appropriate amount of AT and that Student had more time on the computer than the other students. 99. Student’s 2005-2006 IEP did not state the amount of time that Student would be able to use the computer each day. 100. According to Mr. Day, Student would use the computer for all written work during the 2005-2006 school year. Student did not have his own computer in the classroom but used a new computer in the classroom that had a word processor and a printer. Mr. Day stated that Student could sometimes type out sentences on his own. Mr. Day testified that he had work samples but he had left them in the classroom when he no longer taught the class. No samples were provided by District. 101. The IEP team members, including Student’s mother, agreed that the computer was Student’s best method of communication. Student’s school day lasted approximately six hours. Student had daily access to the computer for approximately an hour a day. 102. Student’s access to assistive technology, although better than the previous year, remained inadequate to meet Student’s needs. While the IEP did not specify how much time Student would be using the computer, it did indicate that Student needed the computer for all written class work and that the computer is Student’s most effective method of communication. 103. Student is entitled to compensatory education for the failure of the District to provide him appropriate AT. The District shall provide Student full access to a computer beginning on the first day of classes in the 2007-2008 school year. The computer shall be equipped with both the Pixwriter and Intellitools software and shall be available to Student for the entire school day in order to allow him full participation in class. 104. Regarding the 2006-2007 school year, Student contends that District failed to provide Student with a consistent and comprehensive educational program designed to address all of his areas of profound deficit and provide him with meaningful educational benefit. District contends that the placement offered to Student was appropriate and that Student’s refusal to sign the IEP required the District to keep him at Holmes Elementary School. 105. The IEP team met on May 10, 2006, regarding Student’s placement and services for the 2006-2007 school year. Student’s mother, stepfather and attorney were present on behalf of Student. Student’s unique needs, as set forth in paragraphs three through seven did not change and are applicable to the 2006-2007 school year. 106. The IEP team reviewed the 2005 psychological assessment conducted by Dr. Lenington, and a speech and language assessment conducted by Jane Haddad. At the IEP team meeting, District and Student did not agree on the eligibility statement in the IEP, the placement, or the services to be provided to Student. The team, including Student’s mother, did agree to request an application for additional assistive technology for use both at home and at school. Student’s parents did not consent to the IEP. Because of the refusal of placement, Student remained in his prior placement at Holmes Elementary School. 107. The District’s offer of FAPE must be evaluated based on what was and what was not objectively reasonable at the time the IEP was drafted. Student’s placement in the autism SDC at Holmes for another year was a result of the inability of the District and Student’s parents to agree on an appropriate placement for the 2006-2007 school year. Because of the failure to agree, the District was obligated to implement the last agreed upon IEP which was the March 2005 IEP, and could not have legally changed Student’s placement without a due process hearing. The inquiry in this case is first, was the District’s offer of a moderate to severe SDC for 80 percent of the day and general education 20 percent of the school day appropriate for Student. If so, then the inquiry ends and Student may not challenge the provision of FAPE at the Holmes placement. 108. The District found Student eligible for services under the category of orthopedic impairment and offered Student placement in an intermediate moderate to severe SDC for 80 percent of the day and general education for 20 percent of the school day. The District offered speech and language services five times per week for 30 minutes. The District offered individual speech therapy and group therapy twice a week. The District offered APE twice a week for 30 minutes. The District offered individual OT twice a week for 30 minutes each session. The District offered Student a new software program called Intellitools. The District further offered AT training once a week for four weeks for 30 minutes each session, after the arrival of the software and then AT consult twice per month for 30 minutes each session. The District offered aide support daily in the classroom for 3.8 hours per day. The District offered ESY and transportation for Student. 109. The District offered placement in an intermediate moderate special day class at Kettering Middle School. When a student is eligible for special education under the category of orthopedic impairment, the student must be taught by teachers whose professional preparation and credential authorization are specific to orthopedic impairment. 110. Dr. Lenington has conducted a number of assessments of Student beginning in 2001. In May and June 2005, Dr. Lenington administered a developmental assessment of Student. The assessment was administered over an 18-hour period and over a number of days between May 3, 2005, and June 16, 2005. The assessment report was reviewed by the IEP team for the 2006-2007 school year. 112. Dr. Lenington assessed Student’s cognitive function using the WISC-IV. Student scored in the moderate deficit range in the area of verbal comprehension, in the below average range in perceptual reasoning, in the moderate deficit range in working memory and in the borderline range in the area of processing speed IQ. Student’s full scale IQ score, which is comprised of factors from each of the four domains, was in the moderate deficit range. 113. Dr. Lenington reported that Student displayed statistical disparities or statistical scatter on the WISC IV which is significant in determining an accurate measure of Student’s IQ. According to Dr. Lenington, the scatter is significant because it is not feasible for a person to score on a subtest above their overall cognitive ability. Dr. Lenington believes that Student scored lower on some of the subtests due to his physical limitations and that absent the demands on his motor system, Student would score much higher in his cognitive abilities. 114. Dr. Lenington administered the WJ-III and domain composites were derived for tasks of comprehension-knowledge, long term retrieval, auditory processing and fluid reasoning. Student scored in the below average range for the domain of thinking ability. He scored from the moderate deficit range to the above average range. 115. In the area of long term retrieval, Student scored a domain composite in the borderline range. Student was more successful when he did not have to physically manipulate components. In the area of comprehension-knowledge, Student scored in the mild deficit range. In fluid reasoning, Student scored in the average range, below the mean. In processing speed, Dr. Lenington did not score a composite relative to this domain because Student completed only two of four subtests. Student completed a subtest in the area of decision speed and scored in the mild deficit range. Student also completed a subtest in verbal responses or naming. Student scored in the moderate deficit range. Student was not given the attention and concentration subtest or the self-generate digit matches because Dr. Lenington determined that the graphomotor and fine motor demands of the subtests were too rigorous for Student. 116. Dr. Lenington administered the CAS to better understand Student’s cognitive problem solving skills. Dr. Lenington reported that the scores provided further support and supplemented the observations and data. In the domain of simultaneous processing, Student scored in the below average range. Student was not asked to complete a task of figure memory due to the graphomotor demands of the subtest. Student scored in the mild deficit range in a verbal-spatial relation subtest that required simultaneous processing of verbal and visual data. Student completed a task of abstract reasoning that required him to complete a task of nonverbal matrices and scored in the high average range. In the area of broad attention, no composite score was derived. Student was given an expressive attention task and scored in the borderline range. 117. Some subtests of the NEPSY were administered to assess Student’s specific and functional skills. Subtests were administered in the areas of attention/executive function, language, sensorimotor skills development, visuospatial skills, and memory. Student scored in the mild to moderate deficit range in some areas and below his grade level in other areas. 118. Dr. Lenington conducted the WJ-III in order to determine Student’s academic skills. In the area of broad reading and math, Student scored in the mild deficit range and in the area of academic knowledge Student scored in the borderline range. 119. Dr. Lenington in her summary indicated that Student’s potential appears to be at least average. Dr. Lenington recommended one-to-one attention by persons familiar with multiple handicapping conditions to facilitate an appropriate educational program for Student. Dr. Lenington indicated that Student would benefit from a non-public school where there is also a predominance of typical peers, specifically, Buena Park Speech and Language Development Center. 120. Ms. Evans convincingly criticized Dr. Lenington because she gave opinions regarding Student’s placement without ever having visited the program and without speaking with any staff working with Student. She further criticized Dr. Lenington’s findings because Dr. Lenington used cognitive measures to evaluate the program and, according to Ms. Evans, IQ points do not rise and fall based on programming or amount of education. These observations are well taken and Dr. Lenington’s evaluation of Student’s program is given little weight. Ms. Evans also criticized Dr. Lenington for arriving at the conclusion that Student was in the average or high average range of cognitive ability based on the results in her report. According to Evans, the tests administered by Dr. Lenington did not establish that Student functioned in the average to above average cognitive ability. 121. The results of the testing conducted by Dr. Lenington were helpful in determining the appropriate placement and services for Student. However, Dr. Lenington’s conclusion that the placement offered by the District was not appropriate without having observed it, and the conclusion that Student has the potential of functioning in the average to above average range are contrary to the evidence. 122. Sue Campbell testified for the District regarding the appropriateness of District’s offer of placement for Student. The recommendation was to move him from the autism class to a moderate to severe class. She testified that the class was a third though fifth grade class which was age appropriate. The District felt it was important for Student to be in a more diverse population rather than an autism specific class. The District chose Kettering because the staff at Kettering had more experience with children who have CP, other physical disabilities and neurological deficiencies. 123. Student’s mother visited Kettering prior to the beginning of the 2006-2007 school year. When she attempted to observe the class, there was a substitute teacher and the students were not in the classroom. She did not return to observe the class. 124. Dr. Lenington assessed Student on three occasions. She first assessed Student in 2003 and again in 2005, and updated her assessment in 2007. Dr. Lenington testified that Student needs a one-to-one educational program. He needs to have someone assisting him at all times to modify his curriculum for him. However, his curriculum can be modified for him by a one-to-one aide. There is no reason that the recommendations made by Dr. Lenington cannot be provided within District. 125. The evidence established that the moderate to severe SDC placement at Kettering was appropriate for Student. The placement addressed Student’s unique needs because the staff has more experience with Students who have CP. Student has been concerned that the staff did not have sufficient training to deal with Student’s CP. The staff at Kettering Middle School has experience with orthopedic impairments and would have been better suited to address Student’s unique needs than Holmes. The placement was reasonably calculated to lead to educational benefit. The class was age appropriate for Student, and the class size was small. 126. Student’s primary contention is not that the placement at Kettering is inappropriate; rather, Student’s contention is that the placement at Holmes was inappropriate. Student’s argument is moot due to the appropriateness of the Kettering placement which was offered and rejected by Student. 127. Student contends that District did not implement an appropriate BIP to address Student’s maladaptive behaviors. Similar to factual finding 65, Student failed to present sufficient evidence of behavior problems which would justify development and implementation of a BIP. 128. Student contends that District failed to implement Student’s IEP by not assigning an individual one-to-one aide to him and instead assigning a general classroom aide with insufficient training and experience in addressing Student’s disabilities. 129. District failed to provide a full time one-to-one aide specifically assigned to Student in the 2006-2007 school year. District was required to do so under the March 2005 IEP and, because it was the last agreed upon IEP, the full time one-to-one aide should have remained in place. Nothing in the record indicates that Student’s need for aide support changed or diminished. The failure to provide the full time one-to-one aide was a denial of FAPE. Student has requested no specific remedy for this failure other than funding a private placement. Insufficient evidence was presented that the placement requested, Buena Vista, is appropriate for Student, and because Student now has a full time one-to-one aide no other remedy is appropriate or necessary. 130. Student contends he was not provided sufficient speech and language therapy to address his deficits and that the speech and language specialist lacked sufficient training and expertise to address Student’s disabilities. District contends that the speech and language provided was appropriate. 131. Student was provided speech and language services five times per week for 30 minutes each session. Three times a week he was provided individual services, and twice a week he was provided group services. 132. Carrie White is a speech and language specialist who is licensed in California. She has worked for the District for 10 years. She has a bachelor of science and a master’s degree in communication disorders and speech and language pathology. 133. Ms. White testified that Student is the most severe case of CP that she has worked with and that she doesn’t have a lot of experience with individuals with CP. However, she has had autism training and training in working with individuals with neuromotor and motor planning difficulties. 134. Ms. White testified that Student made educational progress in the area of speech and language during the 2006-2007 school year. Ms. White worked on conversation goals, articulation goals and comprehension. Ms. White reported progress on the 2005-2006 and the 2006-2007 goals but noted that Student had not met all of the speech and language goals. 135. Because the March 2005 IEP was in effect, the appropriate substantive inquiry is whether the speech and language services comported with that IEP. Student’s amount of speech and language services comported with the March 2005 IEP, regarding the goals worked on by Ms. White. Ms. White worked on both the 2005-2006 and the 2006-2007 goals during the 2006-2007 school year. This was appropriate for Student because Student had met three of the five goals in the 2005-2006 IEP prior to the 2006-2007 school year. 136. Student contends that District failed to provide a sufficient amount of individual occupational therapy to address Student’s severe motor and coordination deficits and that the occupational therapist was not trained sufficiently to address the deficits secondary to Student’s ataxic cerebral palsy and autism. 137. Laurie Cohen is an occupational therapist who conducted an assessment of Student and produced a report on November 30, 2005. This report was reviewed by the IEP team in determining the level of services provided in the 2006-2007 school year. 138. Ms. Colantino reviewed an assessment of Student which was conducted by Laurie Cohen. She testified that she was unfamiliar with some of the tests administered by Ms. Cohen. Specifically, she was unfamiliar with a test called School Amps, quality of movement, and sensory motor checklists. 139. Ms. Cohen did not testify at the hearing. In her report she noted that specific areas of OT concern included motor planning, visual motor integration, gross motor coordination, gross motor coordination, upper extremity control and fine motor skills. Ms. Cohen recommended two sessions per week, direct, in clinic and/or home setting for a total of 100 minutes per week, and one session per month for 50 minutes consultation and collaboration with school personnel. 140. Like previous years, Student’s March 2005 and March 2006 Student’s OT was not sufficient to address Student’s needs in the area of handwriting. Ms. Cohen’s recommendation that goals be implemented to improve student’s fine motor skills is persuasive. 141. Student is entitled to reasonable compensation for this denial of FAPE. Reasonable compensation for District’s failure to provide sufficient OT, is one hour of OT per week for a period of one year to be provided by an NPA outside of the regular school day. The OT should specifically address the development of Student’s fine motor skills. In addition, Student is entitled to 50 minutes per month of consultation with school personnel to coordinate Student’s OT. 142. Student contends that District failed to provide meaningful AT/ACS to afford Student an opportunity to access the curriculum and that the services were not provided by qualified staff. 143. The District offered the Intellitools software, and AT training and consult after the arrival of the software. Student consented to the AT portion of the 2006-2007 IEP on September 30, 2006. The Intellitools software did not arrive until February 2007. 144. The District failed to offer AT services sufficient to meet Student’s unique needs. As Student grows, he is becoming more dependent upon the computer both to communicate and to complete his schoolwork. Five months elapsed between the time the IEP was signed and the time the Intellitools software arrived, and that amounts to more that half of the regular school year. The amount of time Student was to have access to the computer was not specified in the March 2006 IEP. Testimony established that he had access to the computer approximately one hour per day. Although Student’s AT access has gotten better over the years, it remains insufficient to meet his unique needs and the failure to provide the software included in the March 2006 IEP for a period of five months amounted to a material failure to implement Student’s IEP. 145. Based on it’s denial of FAPE in the area of AT, the District shall provide Student full access to a computer beginning on the first day of classes in the 2007-2008 school year. The computer shall be equipped with both the Pixwriter and Intellitools software and shall be available to Student for the entire school day in order to allow him full participation in class. 146. The IEP team met on April 26, 2007, to determine Student’s placement and services for the 2007-2008 school year. The District found Student eligible for special education under the category of orthopedic impairment. The District offered Student a placement in an SDC at Stanford Middle School. Student was offered speech and language services five times a week, three individual sessions and two small group sessions for 30 minutes per session. Student was offered OT twice a week for 45 minutes per session. He was offered APE twice a week for 30 minutes each session. He was offered AT training and consult one time per week for 30 minutes. Student was offered a full time one-to-one aide. Student was also offered transition services since he will be transferring to middle school. 147. Student contends that District procedurally violated the IDEA by predetermining Student’s placement for the 2007-2008 school year, at the April 26, 2007 IEP meeting and that the procedural violation deprived Student of educational opportunity and impinged on the right of Student’s parents to meaningfully participate in the IEP process. District contends that the offer was an appropriate and that there was not a predetermination of Student’s placement. 148. Parents of a child with a disability must be afforded an opportunity to participate in the IEP process regarding the provision of FAPE to the Student. A District violates the IDEA when it predetermines a placement. Predetermination occurs when the district denies the parents an opportunity to participate in the IEP process by taking a “take it or leave it” approach regarding Student’s placement or services. 149. The only evidence presented on this issue was the testimony of Student’s mother who testified that she felt rushed through the IEP and that Stanford Middle School was suggested right away. Other than such testimony, there was nothing to indicate that the placement was predetermined. 150. The law requires that the District make an offer of placement at the IEP. 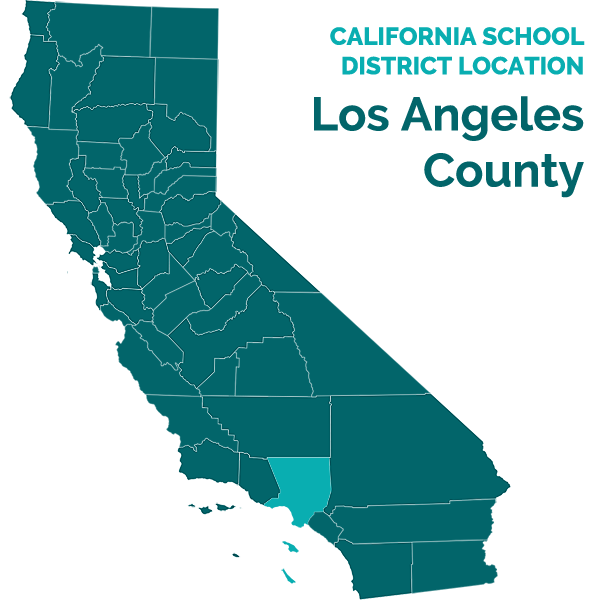 It is entirely proper for a school district to research potentially appropriate sites and in fact to offer placement at a particular site. The fact alone does not mean that the district is unwilling to discuss other options. 151. The evidence does not support the contention that the District committed a procedural violation of IDEA by predetermining Student’s placement. 152. In Student’s Amended Complaint, Student contends that the District’s offer of FAPE at the April 26, 2007 IEP meeting was inappropriate. Student contends that District failed to offer specialized instruction, failed to offer a one-to-one aide, failed to develop and implement a BIP designed to meet Student’s unique needs, failed to offer a supervisor to the one-to-one aide, failed to offer a qualified speech and language therapist, failed to offer a sufficient amount of speech and language services, failed to offer a sufficient amount of OT, and failed to offer a sufficiently trained occupational therapist. 153. Student’s unique needs, as set forth in paragraphs three through seven did not change and are applicable to the 2007-2008 school year. 154. Student contends that District’s offer does not provide sufficient specialized instruction to address Student’s needs. District contends that it offered appropriate specialized instruction for Student. 155. Dr. Lenington recommended that Student have ABA therapy in a private school. She testified that Stanford was not an appropriate placement for Student because the other students in the class have more advanced language and social skills than Student. 156. The District offered evidence that the teacher at Stanford was to be Ms. Urtz, a credentialed special education teacher who has worked with Student in the past. The class consists of approximately 12 students. The teacher and two classroom aides support the class. 157. Sue Campbell spoke with Holly Breen, the special education team leader who works for the middle schools regarding the appropriate placement for Student. Holly Breen observed Student in his then-current classroom and visited potential placements for Student. Ms. Breen indicated that the specific program at Stanford Middle School stood out as being the most appropriate placement for Student. Ms. Campbell observed the Stanford classroom with Student’s mother and stayed for approximately 30 minutes. Ms. Campbell indicated that the atmosphere on that campus was positive and that Student’s mother seemed very pleased about the APE program at Stanford. 158. The District offered sufficient specialized instruction for Student. Student will be taught by a credentialed special education teacher who is familiar with him because she has worked in a classroom with him in the past. Additionally, Student will have a one-to-one aide for the full school day. 159. The District’s offer of specialized instruction is designed to meet Student’s unique needs and reasonably calculated to provide Student educational benefit. Student did not establish that the District failed to offer a FAPE due to the lack of specialized instruction. 160. Student contended that the one-to-one aide and supervision of the one-to-one aide were insufficient. No evidence or argument was presented to support Student’s contention that the one-to-one aides offered to Student were insufficiently trained to support a Student with CP and autism. Student was offered a full time one-to-one aide for Student for six hours per day. Student failed to prove that the District failed to offer an appropriate aide. Similarly, no evidence or argument was presented to support Student’s contention that there was insufficient supervision of the classroom aides and Student failed to prove this contention. 161. Student contends that District did not develop and implement an appropriate BIP to address Student’s maladaptive behaviors. Similar to Factual Findings 65 and 127, Student failed to present sufficient evidence of behavior problems which would justify development and implementation of a BIP. 162. Student contends that insufficient speech and language services were offered in the April 2007 IEP. Student was offered speech and language five times per week for 30 minutes each session. Student was offered three individual sessions and two group sessions per week. 163. Student offered no argument regarding why speech services totaling 150 minutes per week would be insufficient. Student offered no evidence or argument as to the qualifications of the speech therapist. This offer is designed to meet Student’s unique needs and to provide Student academic benefit. Student failed to prove this contention. OT Services and Failing to Offer an Occupational Therapist Appropriately Trained to Meet Student’s Unique Needs. 164. Student contends that he was not offered a sufficient amount of OT in the April 2007 IEP to meet his unique needs. Student was offered OT twice a week for 45 minutes per session. Student was offered an increase of 30 minutes per week from the previous year. 165. At the IEP team meeting, Student’s mother and stepfather asked about OT services and voiced concerns that Student has difficulty holding a pencil or crayon and that his writing is not legible. 166. The OT offered is insufficient because it fails to address Student’s unique needs in the area of handwriting. For the reasons described above relating to the previsous school years, Student’s IEP should contain a handwriting goal. 2. In the present case, Student is the Petitioner and has the burden of proving the essential elements alleged in the complaint. 6.An IEP must include a statement of the student’s present levels of educational performance; a statement of measurable annual goals; a statement of the special education and related services and supplementary aids and services to be provided; and a statement of how the child’s progress toward the annual goals will be measured. (20 U.S.C. § 1414(d)(1)(A)(i), (ii), (iii) & (vii)(I); 34 C.F.R. § 300.320; Ed. Code, § 56345, subds. (a)(1), (2), (3) & (9).) Measurable annual goals enable the student, parents, and educators to monitor progress and to revise the IEP consistent with the student’s instructional needs. 34 C.F.R. § 300. ) While the required elements of the IEP further important policies, “rigid ‘ adherence to the laundry list of items [required in the IEP]’ is not paramount.” ( W.G. v. Board of Trustees of Target Range School District No. 23 (9th Cir. 1992) 960 F.2d 1479, 1484 (W.G. ).) It must be evaluated in terms of what was objectively reasonable when the IEP was developed. 7. The Ninth Circuit Court of Appeal has endorsed the “snapshot” rule, explaining that the actions of the school cannot “be judged exclusively in hindsight…an IEP must take into account what was and what was not objectively reasonable when the snapshot was taken, that is, at the time the IEP was drafted.” (Adams v. State of Oregon (9th Cir. 1999) 195 F.3d 1141, 1149.) However, the “snapshot” rule does not eliminate a school district’s obligation to revise a student’s educational program if it becomes apparent that the student is not receiving any educational benefit. 11. Each public agency must ensure that assistive technology devices and assistive technology services are available to a student with a disability, if required as part of a student’s special education or related services. (34 C.F.R. § 300.105.) As part of the IEP process, the IEP team must consider whether the child requires assistive technology devices and services. (20 U.S.C. § 1414(d)(3)(b)(v); 34 C.F.R. § 300.324(a)(2)(v).) If the IEP team determines that a student needs assistive technology to receive a FAPE, the IEP must include a statement to that effect, and the nature and amount of such services. 19. Students who are orthopedically impaired shall be taught by teachers whose professional preparation and credential authorization are specific to orthopedic impairment. (Ed. Code, § 44265.5(c). Student’s eligibility category in his 2006-2007 IEP is orthopedic impairment. 20. Title 20 of the United States Code section 1401(10)(D) defines the term “highly qualified” and sets forth the educational and certification requirements of special education teachers. Title 20 United States Code section 1401(10)(E) states that neither a parent nor a student may sue based on the failure of any state or local educational agency employee to be highly qualified as defined in this part. 34 C.F.R. parts 300.18 and 300.156 similarly state that no additional cause of action is created by the failure of the teachers and service providers to be highly qualified. The regulations indicate that the proper venue for such a complaint is to file it with the SEA. Therefore, that issue is not properly within the parameters of a due process complaint. However, the issue of whether Student was denied FAPE because his teachers and service providers were unable to implement Student’s IEP or unable to provide an appropriate level of services due to lack of training or education is an issue properly before this tribunal and the qualifications of the teachers and service providers are addressed in that limited context. Issue 1(a): Did the District fail to provide Student a free appropriate public education (FAPE) in the 2004-2005 school year by failing to provide a sufficient amount of OT, and a sufficiently trained occupational therapist? Based on Factual Findings 5, 6, and 10-20, and Legal Conclusions 3-10, the District failed to provide a sufficient amount of OT because the March 2004 IEP was not designed to meet Student’s unique needs in the area of writing and was not reasonably calculated to provide educational benefit in this area. There was insufficient evidence to establish that the occupational therapist was not sufficiently trained. Issue 1(b): Did the District fail to provide Student a free appropriate public education (FAPE) in the 2004-2005 school year by failing to provide sufficient AT? Based on Factual Findings 5, 6, 8, 10-12, and 21-29, and Legal Conclusions 3-11, the District failed to provide Student a free appropriate public education (FAPE) in the 2004-2005 school year by failing to provide sufficient AT. Issue 2: Did the District conduct an appropriate triennial assessment in 2005? Based on Factual Findings 30-51, and Legal Conclusions 12-15, the District conducted an appropriate triennial assessment in 2005. Issue 3(a): Did the District fail to provide Student a FAPE in the 2005-2006 school year by failing to provide an appropriate placement for Student? Based on Factual Findings 52-61, and Legal Conclusions 3-10, the District provided an appropriate placement for Student in the 2005-2006 school year. Issue 3(b): Did the District fail to provide Student a FAPE in the 2005-2006 school year by failing to develop and implement an appropriate BIP? Based on Factual Findings 62-65, and Legal Conclusions 3-10, and 16-18, the District did not fail to develop and implement an appropriate BIP because Student’s behavior did not warrant a BIP. Issue 3(c): Did the District fail to provide Student a FAPE in the 2005-2006 school year by failing to provide a full time one-to-one aide? Based on Factual Findings 52-54, and 66-81, and Legal Conclusions 3-10, the District denied Student a FAPE by failing to provide a full time one-to-one aide. Issue 3(d): Did the District fail to provide Student a FAPE in the 2005-2006 school year by failing to provide a sufficient amount of speech and language therapy and a sufficiently qualified speech therapist? Based on Factual Findings 52-54, and 82-88, and Legal Conclusions 3-10, the District provided a sufficient amount of speech and language therapy provided by a qualified speech therapist. Issue 3(e): Did the District fail to provide Student a FAPE in the 2005-2006 school year, by failing to provide a sufficient amount of occupational therapy (OT), and a sufficiently trained occupational therapist? Based on Factual Findings 52-54, and 89-97, and Legal Conclusions 3-10, the District failed to provide a sufficient amount of OT because the March 2005 IEP was not designed to meet Student’s unique needs in the area of writing and was not reasonably calculated to provide educational benefit in this area. There was insufficient evidence to establish that the occupational therapist was not sufficiently trained. Issue 3(f): Did the District fail to provide Student a FAPE in the 2005-2006 school year, by failing to provide sufficient AT? Based on Factual Findings 52-54, and 98-103, and Legal Conclusions 3-11, the District failed to provide Student a free appropriate public education (FAPE) in the 2005-2006 school year by failing to provide sufficient AT. Issue 4(a): Did the District fail to provide Student a FAPE in the 2006-2007 school year by failing to provide an appropriate placement for Student? Based on Factual Findings 104-126, and Legal Conclusions 3-10, the District provided an appropriate placement for Student in the 2006-2007 school year. Issue 4(b): Did the District fail to provide Student a FAPE in the 2006-2007 school year by failing to develop and implement an appropriate BIP? Based on Factual Findings 105-120, and 127, and Legal Conclusions 3-10 and 16-18, the District did not fail to develop and implement an appropriate BIP because Student’s behavior did not warrant a BIP. Issue 4(c): Did the District fail to provide Student a FAPE in the 2006-2007 school year by failing to provide Student a full time one-to-one aide? Based on Factual Findings 105-120, and 128-129, and Legal Conclusions 3-10, the District denied Student a FAPE by failing to provide a full time one-to-one aide. Issue 4(d): Did the District fail to provide Student a FAPE in the 2006-2007 school year by failing to provide a sufficient amount of speech and language therapy and a sufficiently qualified speech therapist? Based on Factual Findings 105-120, and 130-135, and Legal Conclusions 3-10, the District provided a sufficient amount of speech and language therapy provided by a qualified speech therapist. Based on Factual Findings 105-120, and 136-141, and Legal Conclusions 3-10, the District failed to provide a sufficient amount of OT because the March 2005 IEP was not designed to meet Student’s unique needs in the area of writing and was not reasonably calculated to provide educational benefit in this area. There was insufficient evidence to establish that the occupational therapist was not sufficiently trained. Issue 4(f): Did the District fail to provide Student a FAPE in the 2006-2007 school year by failing to provide a sufficient amount of AT? Based on Factual Findings 105-120, and 142-145, and Legal Conclusions 3-11, the District failed to provide Student a free appropriate public education (FAPE) in the 2005-2006 school year by failing to provide sufficient AT. Issue 5: Did the District predetermine Student’s placement for the 2007-2008 school year, at the April 26, 2007 IEP meeting? Based on Factual Findings 146-151, and Legal Conclusions 3-10 and 21-22, the District did not predetermine Student’s placement for the 2007-2008 school year. Issue 6(a): Did the District fail to offer Student a FAPE at the April 26, 2007 IEP meeting by failing to offer Student a sufficient amount of individualized instruction and a program administered by persons with sufficient training and background relating to Student’s deficits? Based on Factual Findings 152-159, and Legal Conclusions 3-10, the District offered Student a sufficient amount of individualized instruction. Issue 6(b): Did the District fail to offer Student a FAPE at the April 26, 2007 IEP meeting by failing to offer the services of a one-to-one aide with sufficient training to address Student’s deficits and failing to offer a properly qualified supervisor to the one-to-one aide? Based on Factual Findings 152-153 and 160, and Legal Conclusions, the District offered Student an appropriate one-to-one aide. Issue 6 (c): Did the District fail to offer Student a FAPE at the April 26, 2007 IEP meeting by failing to develop and implement a BIP designed to meet Student’s unique needs? Based on Factual Findings 152-153 and 161, and Legal Conclusions 3-10 and 16-18, the District did not fail to develop and implement a BIP designed to meet Student’s unique needs. Issue 6(d): Did the District fail to offer Student a FAPE at the April 26, 2007 IEP meeting by failing to offer a sufficient amount of speech and language services and failing to offer a speech therapist qualified to address Student’s unique needs? Based on Factual Findings 152-153 and 162-163, and Legal Conclusions 3-10, the District offered a sufficient amount of speech and language therapy and Student failed to present evidence that such service would be provided by an unqualified speech therapist. Issue 6(e): Did the District fail to offer Student a FAPE at the April 26, 2007 IEP meeting by failing to offer a sufficient amount of OT by an occupational therapist appropriately qualified to address Student’s unique needs? Based on Factual Findings 152-153 and 164-166, and Legal Conclusions 3-10, the District failed to offer a sufficient amount of OT because the April 2007 IEP was not designed to meet Student’s unique needs in the area of writing and was not reasonably calculated to provide educational benefit in this area. 1. The District is ordered to provide compensatory education in the form of one hour of additional OT per week for a period of one year to be provided by an NPA outside of regular school hours to address Student’s handwriting deficits. In addition, the District must provide 50 minutes of consultation per month with Student’s parents to coordinate the provision of OT services to Student. 2. The District is ordered to have appropriate AT and appropriate software available for Student for the full school day every day. The computer shall be equipped with both the Pixwriter and Intellitools software and shall be available to Student for the entire school day in order to allow him full participation in class. 3. The District is not required to pay to Student’s parents the cost of Independent Educational Evaluations performed by Dr. Lenington. The Student prevailed on issues 1(a), 1(b), 3(c), 3(e), 3(f), 4(c), 4(e), 4(f) and 6(e). The District prevailed on issues 2, 3(a), 3(b), 3(d), 4(a), 4(b), 4(d), 5, 6(a), 6(b), 6(c) and 6(d).